The BSP (British Standard Pipe) is a screw threaded connecting system with male and female mating parts. The thread is available in standard parallel form or as a taper and couplings can be supplied with either ribbed or serrated hose tails. Available in aluminium, gun metal, brass, stainless steel and polypropylene. 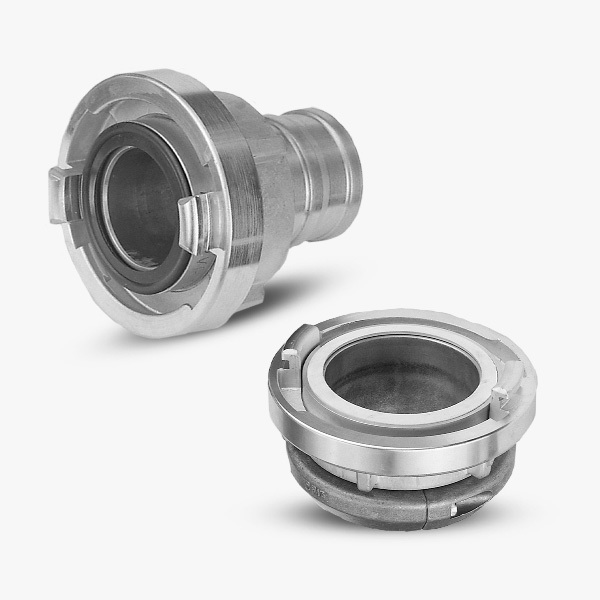 Camlock couplings and adaptors are interchangeable with all products manufactured to MIL C 27487 / A-A-59326. The coupling connection is sealed by the folding of two external handles which compress the male part against the internal seal within the female part. Camlock adaptors are supplied with BSP thread as standard, available in aluminium, stainless steel, brass and polypropylene. 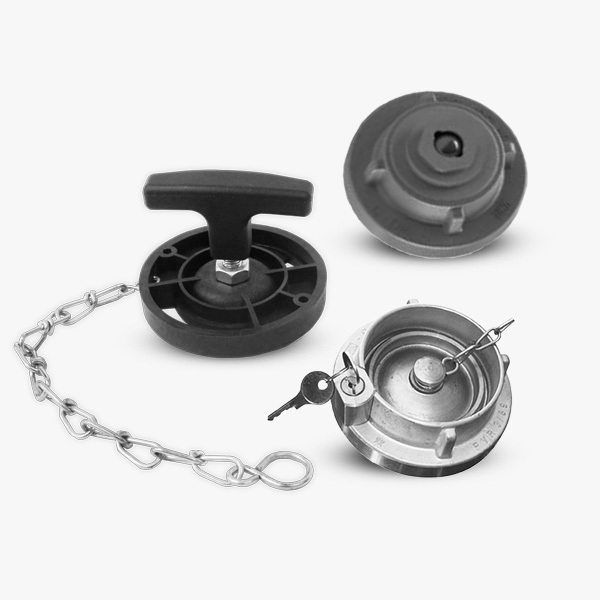 Our instantaneous coupling system comprises of a male and female two part connection which are held securely in position by two internal spring loaded plunger mechanisms. The hose tails have a double rib arrangement which facilitate wire binding or hose clamps. 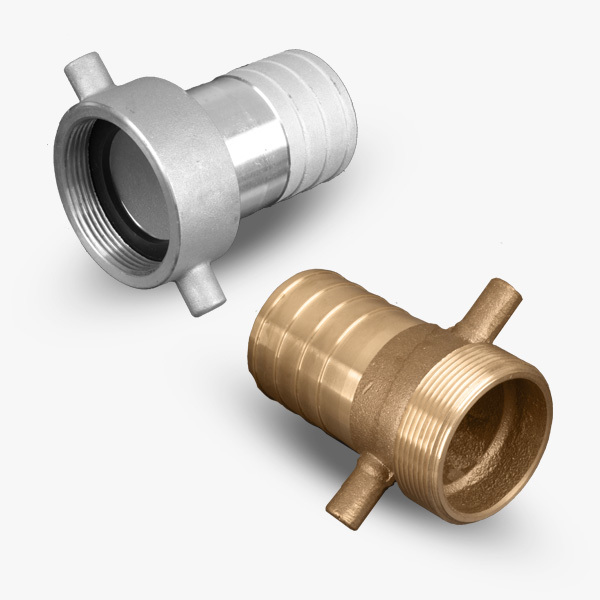 Adaptors can also be used to connect two differing hose system types. Available in light alloy, gun metal, stainless steel and anodised. The Storz system is a hermaphrodite, symmetrical coupling which is connected by two internal lugs, suitable for both suction and delivery applications. 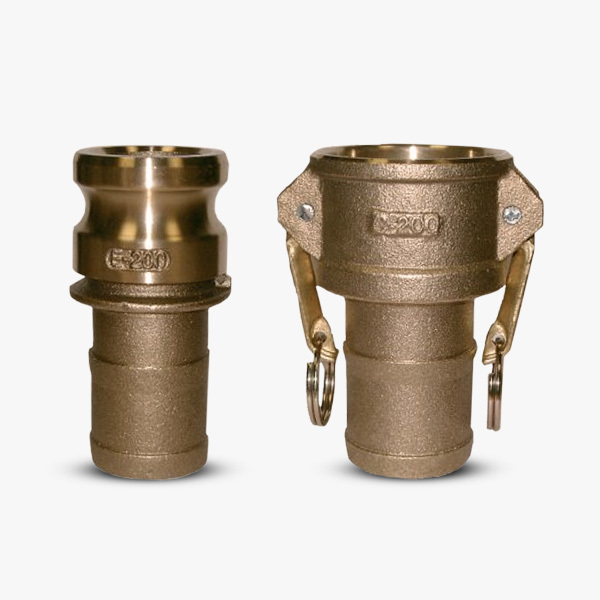 Storz adaptors are available with both male and female threads. For additional security the adaptors can be fitted with a locking facility as an additional safeguard. Available in light alloy, brass, stainless steel, gun metal, and custom colour finishes. 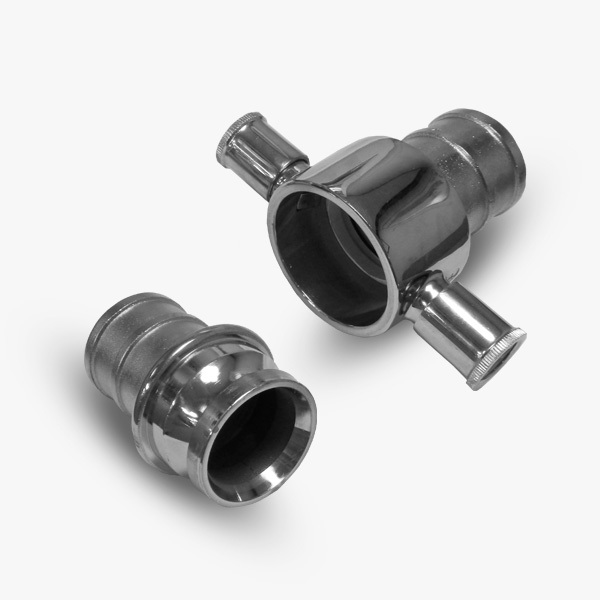 Our leverlock couplings and adaptors are ideal for joining large bore hoses together, offering a quick lever and latch connection often used in the agriculture or water industry. Options comprise of hose tails, BSP threaded adaptors, reducers, ‘T’ pieces, 90 ° elbow and flanged adaptors. Available in galvanised steel and stainless steel. 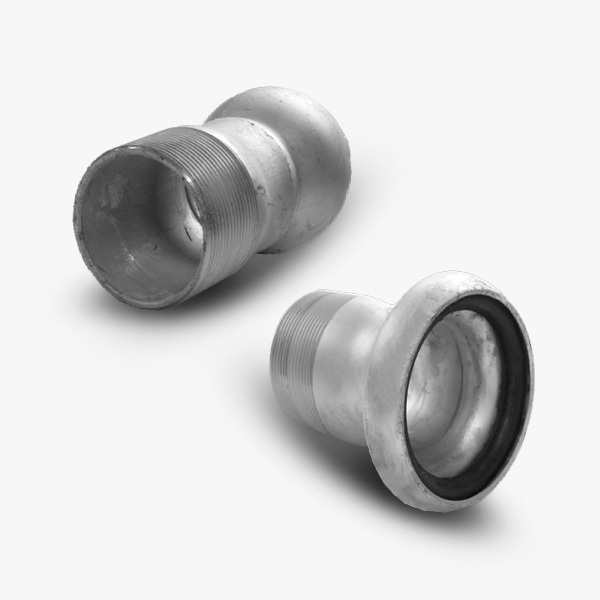 We offer a broad range of caps and plugs used to blank off a coupling/adaptors for all our systems including options with key locking, pressure venting and drainage valves. 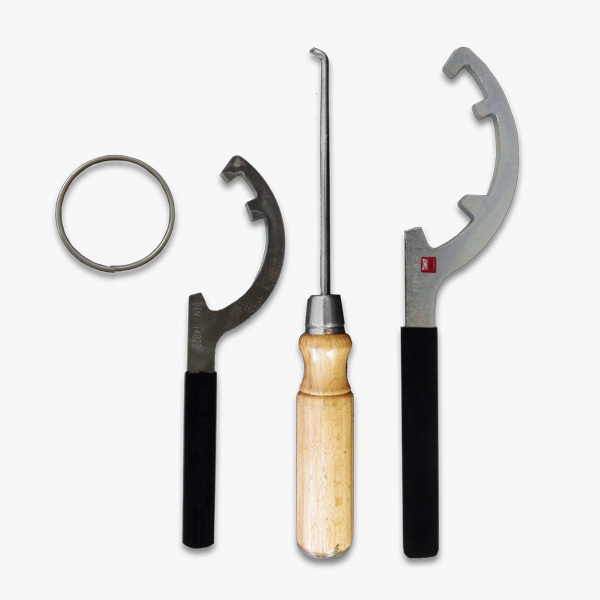 RHL offer a range of seals, spanners, clips and spares parts for our coupling and adaptor systems. Contact our expert team for details of suitable options. 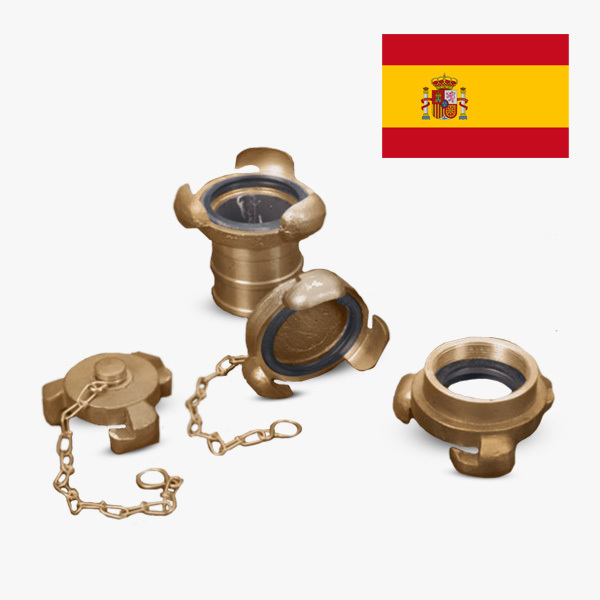 Our Barcelona couplings and adaptors are an interlocking connecting system with three interlocking lugs manufactured to Spanish Standard UNE 23400 standards. Available in aluminium and gun metal. 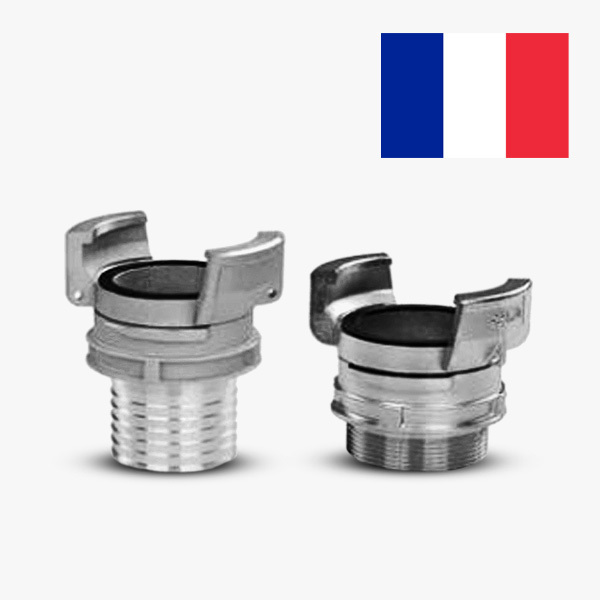 Our Guillemin / DSP couplings and adaptors are a French two claw symmetrical hermaphrodite connection system. There are two systems – Gullemin and DSP, which are both interchangeable but are used in different applications. Available in light alloy and brass as standard. 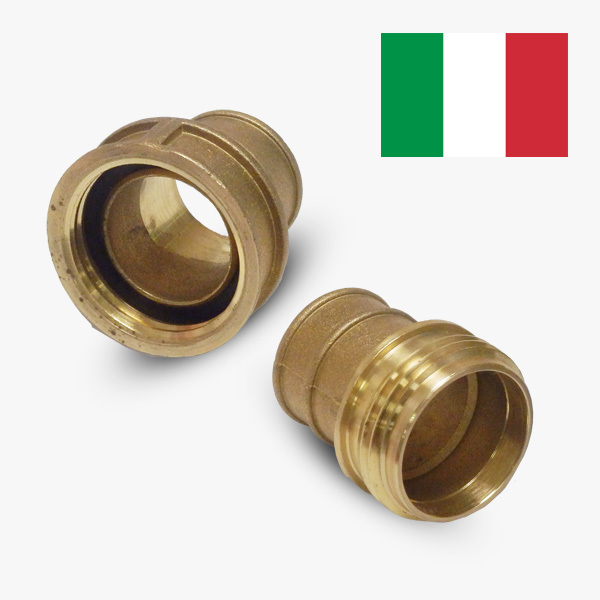 Our UNI couplings and adaptors are an Italian interlocking, threaded male / female coupling system. Available in brass and gun metal as standard. 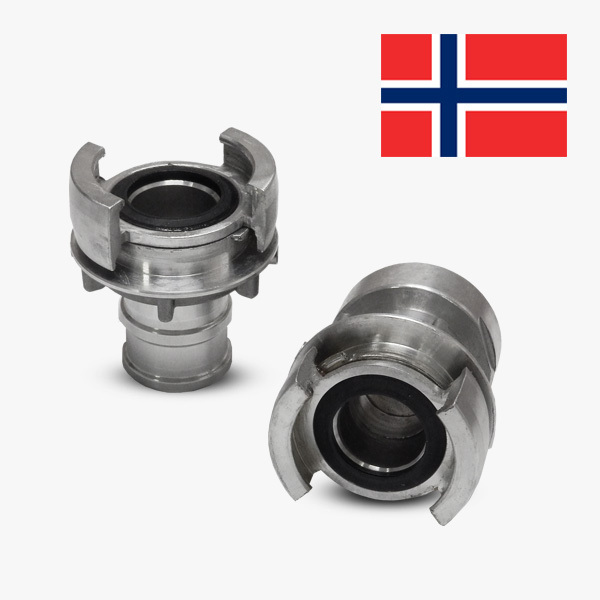 Our Norlock couplings and adaptors are a Norwegian 16 bar hose coupling system. This is a two claw symmetrical hermaphrodite connection system for delivery applications only. Unlike other two claw systems the Norlock couplings and adaptors come with a locking ring device as standard, available in aluminium and brass. 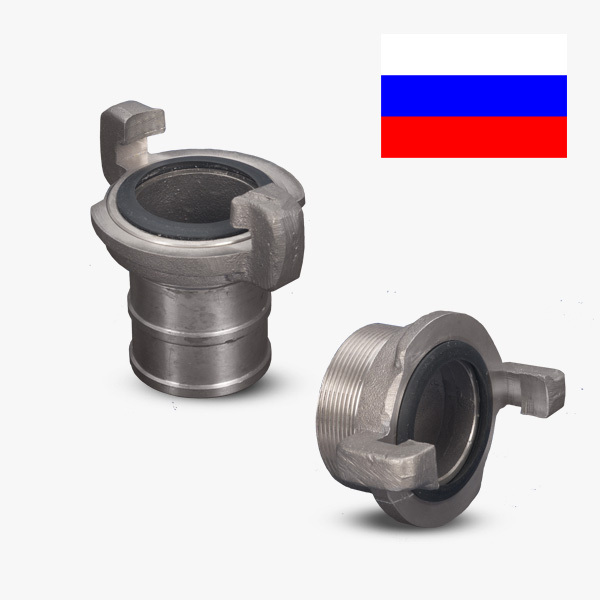 Our Rotta and Gost couplings and adaptors are Russian 16 bar coupling systems. Both couplings have a symmetrical two claw hermaphrodite connection system but unlike the Gost system Rotta comes with two interlocking swivel lugs. Available in gun metal as standard. 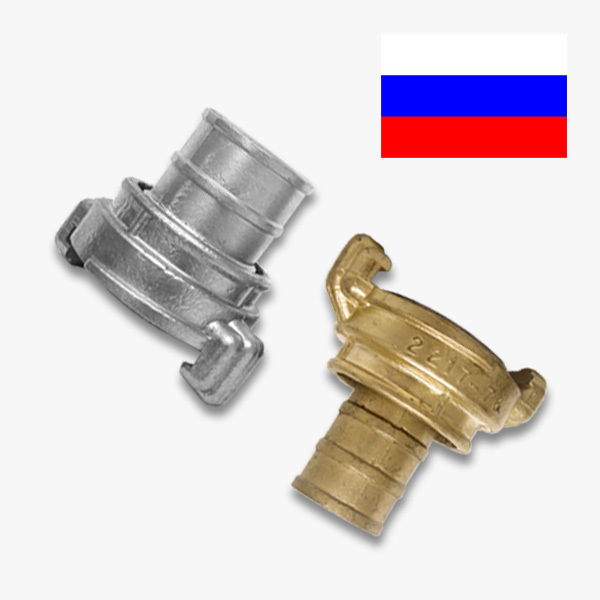 Nunan and Stove couplings and adaptors are a Russian coupling system with a two claw symmetrical hermaphrodite connection system used for delivery applications only. The connection size is determined by the DN size and it’s internal lug measurement (ka). Available in gun metal as standard. 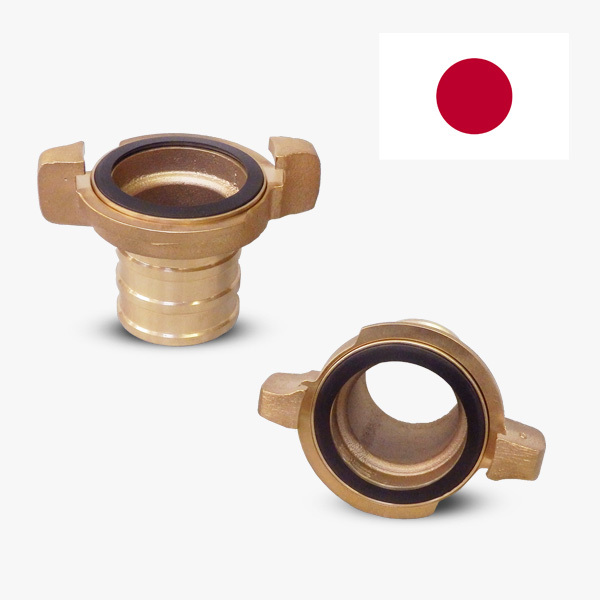 Our Nakajima coupling & adaptors are a Japanese 16 bar interlocking connecting system with two interlocking lugs manufactured to Japanese Industrial Standards (JIS). Available in brass and gun metal options. 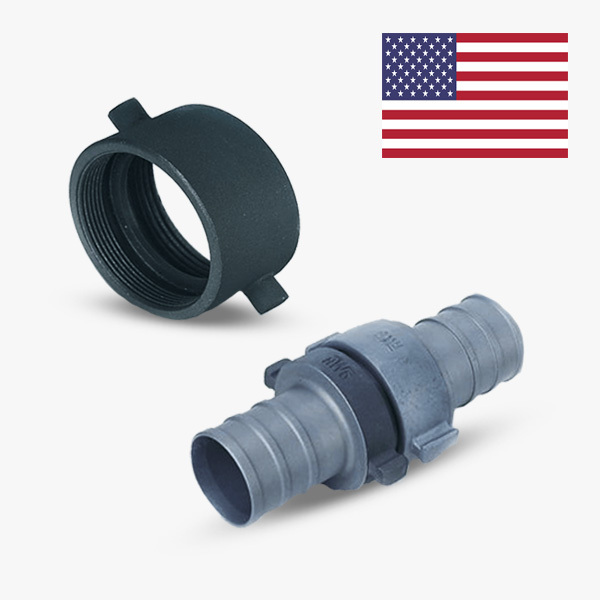 NH couplings and adaptors are an American hose coupling system. This is a threaded system comprising of male and female halves and come in a range of thread connection sizes. Available in aluminium, brass and gun metal.